Your certifications are internationally recognised and accredited by the long established and well renowned American Board of Neuro-Linguistic Programming, Time Line Therapy™ Association and American Board of Hypnotherapy. Enter into the world of NLP and learn how to make a difference in your own life, the life of others or become a professional Coach. 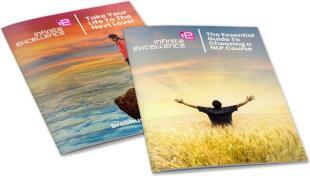 4 handpicked qualifications to provide you with the most comprehensive NLP and Coaching certification in the UK. 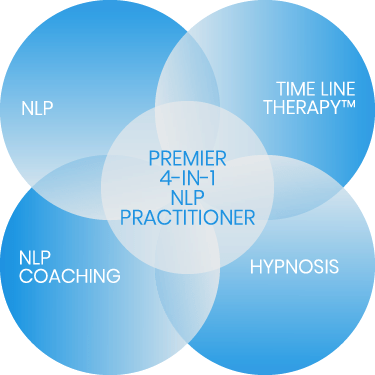 Why Take Our 4-in-1 NLP Practitioner Course? With our 4-in-1 NLP Practitioner Course you can learn how to achieve these and more. The NLP Practitioner Certification is the cornerstone of our 4-in-1 course. It provides the foundation elements for all of the training modules to give you one of the most powerful coaching tool kits for yourself and others that exists today. Filled with quick and effective techniques to give you the edge. Certification gives you the processes to let go of those emotions and decisions which hold you back from having the life or business you want and deserve. These are the techniques that make all the difference to achieving long-term change and goals for yourself or your Coaching clients. The Hypnotherapist Certification shows you how to create and support change with the ancient and respected art of Hypnosis, as well as how to take your everyday conversational language to a whole new level. Use on it’s own or in an integrated coaching process for maximum results. The NLP Coach Certification provides a framework of tools, techniques and thinking to assist you and others achieve success. Ready for A Long Lasting, Fuller, Happier, And Richer Life? The course is 7 continuous days in duration. All leading to learning how to increase your communication, questioning and negotiation abilities! Created by Dr Tad James this therapy removes negative emotions and limiting decisions. Understand the processes, which will allow you to let go of those emotions and decisions, which hold you back from having the life or business you want and deserve. Learn how to create and support change with the ancient and respected art of hypnosis. For anyone coaching, mentoring or guiding others to results come and discover a framework of tools, techniques and thinking to assist others to success. This certification is a natural fit with all our other areas of training. Our fees are based on offering 4 incredible courses in 1 single training.